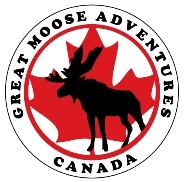 Great Moose Adventures is proud to have joined up with 'Speaking of Wildlife' to offer engaging and exciting interactive animal presentations for students of all ages. Speaking of Wildlife is Canada's LARGEST live animal outreach company and has been delivering hands-on wildlife education since 1989. The have programs developed for any age/learning level, which are both entertaining and enlightening.